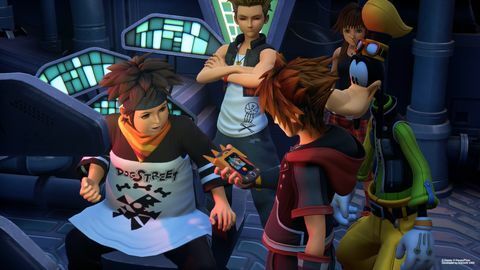 Can Kingdom Hearts III live up to the lofty expectations of a deeply passionate fan base or does it struggle to provide a satisfying payoff to an adventure almost two decades in the making? There are few brands out there with the cache of Disney. No matter how you feel about 'kids movies', there's no arguing the sheer recognisability of the company's vast array of unusual characters and worlds. The same can be said for Square Enix when it comes to JRPGs, as the company has put out some of, if not the most popular franchises in the genre year after year. 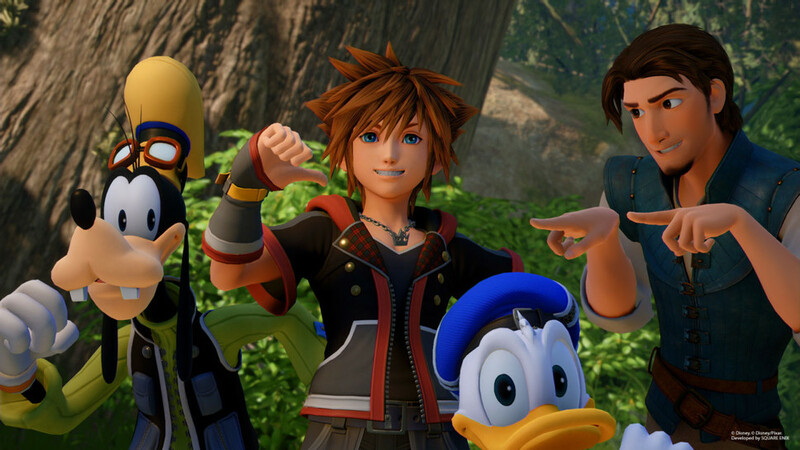 Kingdom Hearts III represents the end of an incredible adventure seventeen years in the making. 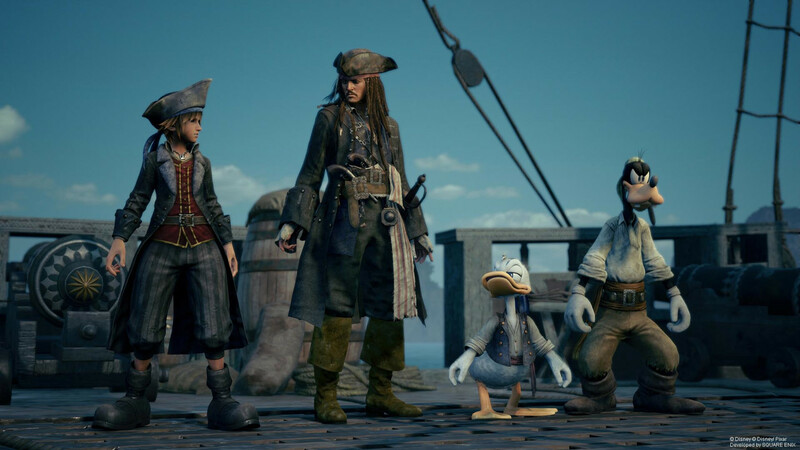 Every step of our journey with Sora, Donald, Goofy so far, leads to this point. 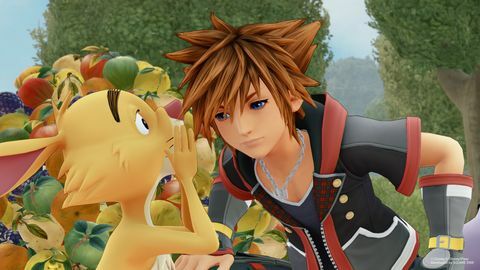 Sora and friends have seen tremendous highs and lows during the years, but the series has achieved the nigh-impossible by respecting both new and old fans alike in a beautiful send-off to highly revered series. Those with a vested interest in the series and it's involved/convoluted story will find plenty of callbacks and narrative closure to stories that started when many of us were still in our teens. 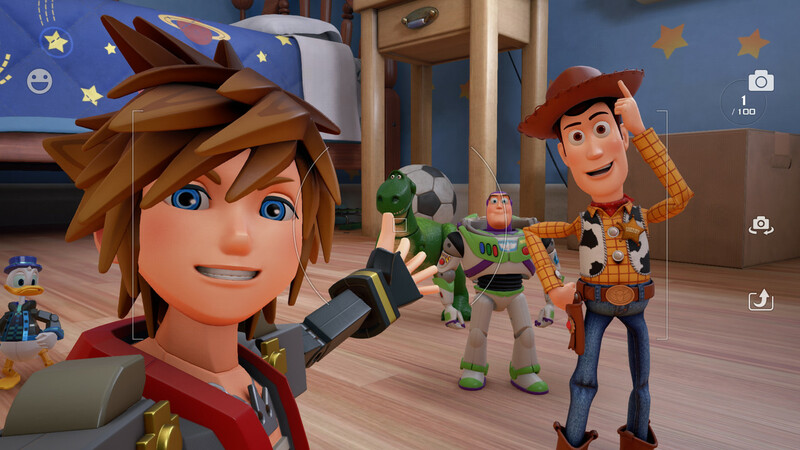 Kingdom Hearts III represents the end of an incredible adventure seventeen years in the making. 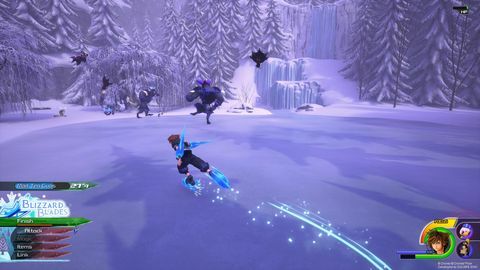 Kingdom Hearts III features best-to-date combat for the series and is beautifully refined and straight-forward once you get the hang of it. Initially, it can be a bit overwhelming for newcomers but fast-forward a couple of hours, and you'll be flying from enemy to enemy in a dazzling display of gorgeous balletic-fluid combat. I can't overstate just how well everything works here. From the stunning summons of beloved characters to aid you in combat to the dizzying kaleidoscope of lights and special effects prevalent in every one of the games special attacks, every moment feels gratifying. You have the freedom to alter how your companions act when in battle, from staying by your side for joined attacks to being more aggressive and gung-ho with any enemy in sight. I never felt like I had to babysit my companions and welcomed their much-needed aid during the most frantic of encounters. 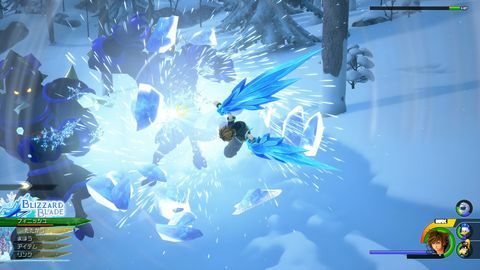 Team attacks see Sora joining forces with his companions at the time for a massive attack that deals both high damage and looks spectacular to boot. You'll periodically unlock new Keyblades after completing worlds. These do a great job of adding diversity to the combat and are a joy to experiment and play around with. My favourite blade ended up being the Happy Gear, which I ended up using for the vast majority of encounters. Building up the combat meter will allow you to shift the weapon into varying stages of transformation: changing the move set and special attacks on offer. 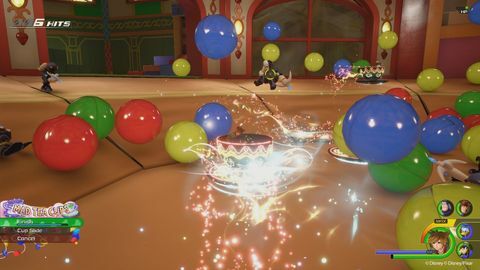 With the Keyblade in question, you transition it from a hammer to two claw fists, with its final form being a pair of over-sized yo-yos that grant Sora with a set of attacks incredibly similar to the Blades of Chaos in God of War. Other Keyblades may transform into a gun or a blade with an increased focus on high-intensity magic attacks. Unlocking a new Keyblade was always a high point for me as I immediately equipped them to see what new moves and effects they opened up for Sora. Some of the blades can feel a bit samey, but there's more than enough variation to keep you mixing things up in combat. 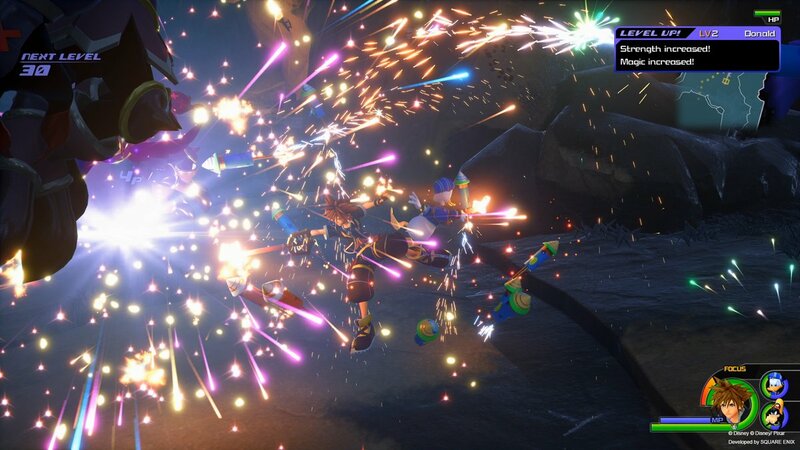 Kingdom Hearts III may be one of the most beautiful games I've ever played. The vast cast of characters look virtually almost identical to their movie counterparts and are all stunningly animated and packed with character, at times it's easy to forget you're playing a game and not watching a Disney Pixar movie. This time around the game runs on Unreal Engine and boy does it do a superb job. Everything from the clothing on characters, to the worlds and vibrant particle effects, are all on show in an eye-watering display of digital beauty. The game's environments also deserve mention as these are executed with what is clearly a fond love for the respective Disney franchises. As far as the Disney characters and worlds go, I'm pleased to say that KHIII absolutely nailed it. From the gorgeously animated title cards of each world to the characters and environments, everything feels so deeply Disney that it's hard to believe this game isn't based on a massive crossover movie. The only thing that occasionally drew me out of the experience is some of the dialogue delivery. The voice acting feels authentic for the most part with about half of the Disney cast being the original voice actors. Just like the previous games, conversations have a tenancy to come off stilted and a little odd with some awkward pauses between conversing charters. As far as the story is concerned, it's a little all over the place. Packed with heavy jargon and a lot of talk about people hearts being split and placed in different 'vessels', clones and so on... If this is your first Kingdom Hearts, you're going to want to watch all of the story recaps before you jump in. 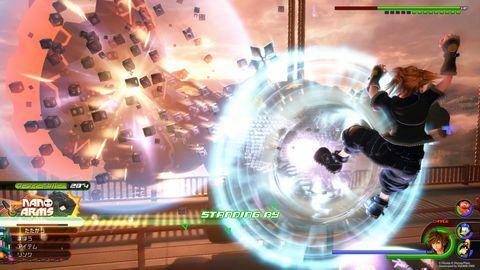 The game does include a handful of videos that do this, but condensing the previous games story into five several minutes long videos just isn't enough to shed light on the many story arcs within the series. The story presentation, however, is absolutely top-tier. The game is packed with gorgeous cutscenes, both in engine and CG and they're a marvel (Disney has approved the use of this word) to behold. There are times when the cutscenes can feel a touch invasive as you may play five minutes of the actual game and then get a five-minute cutscene, followed by ten minutes of playing and another lengthy cutscene. This will be a bit much for some, but die-hard Kingdom Hearts and Disney fans will likely love every minute of it. I'm of the latter crowd and did not find that the five-hundred-odd (I may or may not be exaggerating) cutscenes hindered my time with the game at all. If anything they elevated the experience to the point where I found myself looking forward to every drip and drab of the story the game deals out. I will say I'm also a massive fan of the Metal Gear series, so make of that what you will. Expect to hear your companions shouting the same phrases and seeing the same special moves dozens of times during your journey. The game does, unfortunately, suffer from a couple of age-old quirks that anyone who's played a JRPG in the past ten years will be familiar with. The main offenders being repetition in both animation and dialogue. Expect to hear your companions shouting the same phrases and seeing the same special moves dozens of times during your journey. It never quite gets to Xenoblade Chronicles 2 levels but was a bit disappointing none the less. These minor setbacks only stick out due to the incredible level of polish found throughout the experience. I genuinely can't remember the last time I felt such a strong sense of unadulterated joy while playing a game. 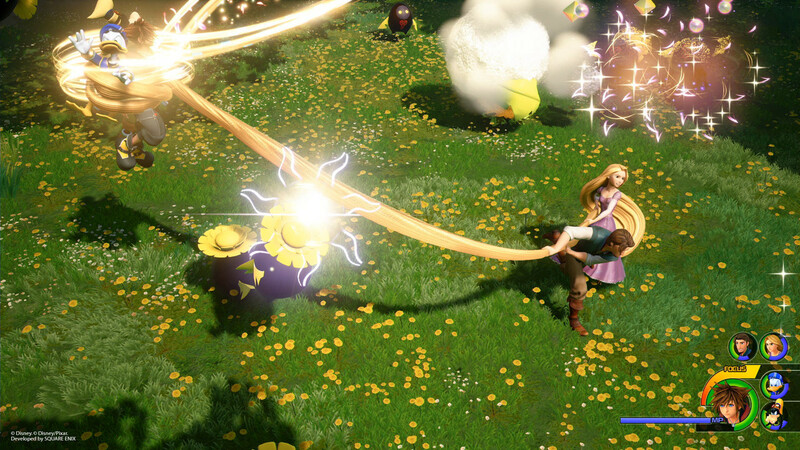 If you're a fan of the series, love kids movies or action-focused JRPGs, you owe it to yourself to experience the stunning world, characters and near-perfect gameplay. From the always engaging combat to the gorgeous cutscenes, there's rarely a dull moment throughout the thirty odd hour adventure. With more and more games focusing on violence and realism, it's an absolute pleasure to get lost in the gaming equivalent of a giant bag of multi-coloured candyfloss. It may be a bit sweet for some, but will easily satiate those with a hard to please gaming sweet tooth. Ups Incredible Combat. A huge array of classic Disney characters. Gorgeous world design. A stunning score that ebbs and flows with the story to great effect. Beautiful graphics and effects throughout. Downs May be a bit cutscene heavy for some. Repetition in dialogue and some of the bigger animations wear thin after a few hours. Voice acting and dialogue can feel a bit stilted and unnatural at times. Story can feel very convoluted and packed with jargon. Actually the tenth game in the series.